Join Diana Balmori and Joel Sanders, who will discuss with Benjamin Aranda, Nicholas de Monchaux, Anthony Vidler, and Marion Weiss the idea of dissolving traditional distinctions between building and environmen. 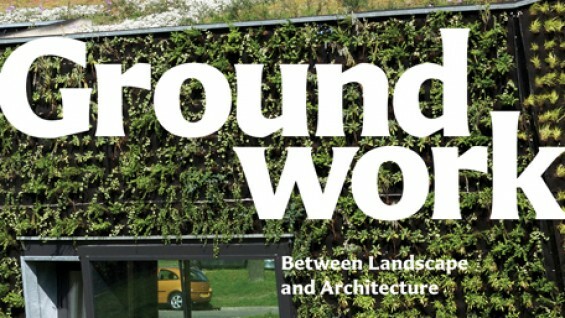 The program marks the occasion of the publication Groundwork: Between Landscape and Architecture (Monacelli, 2011) written by Diana Balmori and Joel Sanders. As Balmori and Sanders note in their preface, the book “is an appeal to designers to pursue a new approach that overcomes the false dichotomy between architecture and landscape. Our interest in the union of these areas is motivated in part by urgent ecological concerns that we share with many of our colleagues. An integrated practice of landscape and architecture could have dramatic environmental consequences: the disciplines would cease to have separate agendas and would instead allow for buildings and landscapes to perform as linked interactive systems that heal the environment. Joel Sanders, Principal, Joel Sanders Architect.